Health Education England e-Learning for Healthcare (HEE e-LfH) has recently completed a review of the e-Learning for Intensive Care Medicine (e-ICM) Programme and as a result have developed two Learning Paths to enable users to quickly and easily access sessions. These are now available within the e-ICM Programme on the e-LfH Hub. For all doctors in training either following or planning to follow the Certificate of Completion of Training (CCT) in ICM. This new e-ICM learning pathway helps provide a background knowledge for those areas of the curriculum that have been identified as sometimes challenging to address through clinical exposure. As well as providing this all in one easy to find place, completion of these sessions will be useful when mapping evidence to these curriculum items on the e-portfolio. Find out more here. Further information regarding competency signoff can be found here. 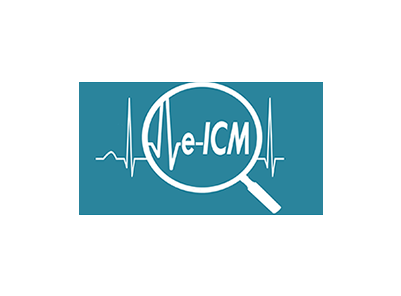 This new e-ICM learning pathway brings together sessions that introduce some of the key concepts and terminology regarding the care of critically ill patients. The aim is to give an initial grounding from which you can explore the many other topics within the e-ICM programme. The sessions will be of benefit to doctors, advanced critical care practitioners, nurses and Allied Health Professionals. For doctors in training, this will include those undertaking foundation and core / Acute Care Common Stem (ACCS) training in ICM, or doctors who are interested in critical care. For more information about the e-ICM programme visit: https://www.e-lfh.org.uk/programmes/intensive-care-medicine/.